Two score years ago, ACTC, then with just a hundred members, bravely created the first Tierra Bella Century. Historical ACTC Members still with the club are Ken Schwab (Past President and Club’s Art Designer), Rosa and Lou Mason, Connie and Terry Shaw, Peter Enright (first VP and second President), and Pat Grilione. The Tierra Bella Chair-baton has been passed only a few times; I remember Jack Lacy, George Alexander, John Halverson, Mike Matthews, Brad Kurtz, Brian Bernhardt, David Seeley, and Michael Hudick. Our legacy is strong and their accomplishments are inspiring. Ken created nearly all the early Tierra Bella and Sierra to the Sea artwork. With Tommie Lacy‘s help, Jack led some years despite loosing his eyesight. Michael is the longest-serving Tierra Bella Chairperson. In 2014, terminally-ill George Johnson fulfilled his Captain-duties at Machado — an unbelievable dedication to ACTC! It will take nothing less than our very best to uphold this great legacy. Like a tandem captain and stoker needing to cycle in sync, we can accomplish most when working together. Please, let us redouble our effort by filling all the volunteer spots that Rita Hernandez and Michael Hudick are posting! Tierra Bella, 40th to infinity! The days are longest in June, the mountains most golden, the weather mostly warm, and the coast most beautiful even when mysteriously basked in fog. Sierra to the Sea, an uniquely ACTC event created by the late Rod Annable (who’s picture still graces the STTS webpage: www.sierratothesea.org) goes from Bear Valley to Golden Gate Park in seven days. The 28th anniversary tour is led once again by Steve Crosby and a very capable staff of 22 volunteers. Sierra to the Sea remains true to Rod’s goals of show-casing the beautiful riding areas of Northern California in an affordable way and remains the best cross-state ride, bar-none! I look forward to greet all the participants and to thank our wonderful staff at Bear Valley and then to welcome them home at the Golden Gate Park. “Well no matter where I wander, I will always find a welcome at the end of every journey, there will be friendly people waiting, California” sang the Kingston Trio. Have a safe journey in our beautiful Golden State. PS. It is not too late to join the 2015 Sierra to the Sea – a few more spots! 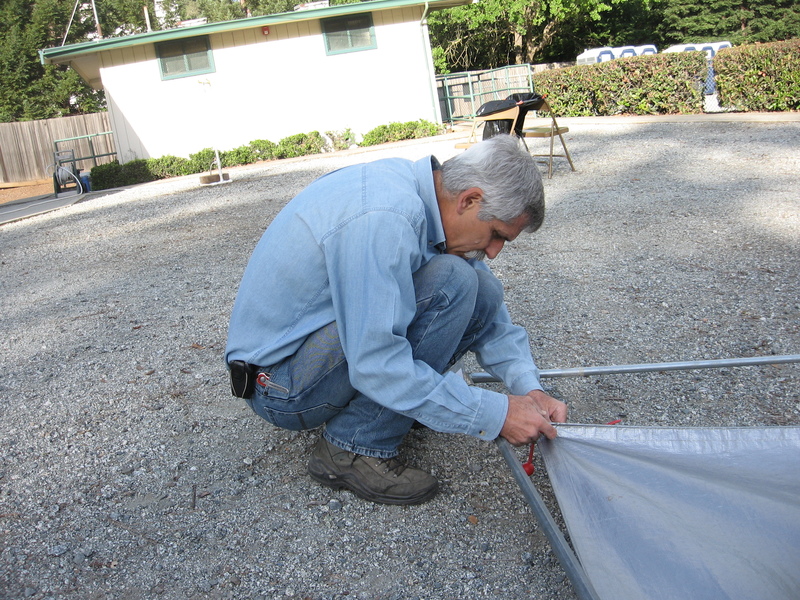 Jim is no stranger to the Bay Area, where he was once the Director for Greenbelt Alliance. Jim served on the boards of Amnesty International USA and the Ginetta Sagan Fund for the Rights of Women and Children, and is presently on the board of America Bikes. • How-To Resources, a variety of trip-planning resources for bicycle travelers such as an annual Cyclists’ Travel Guide, How-To Department, and Touring Gear and Tips blog posts. • BikeOvernights.org, offering inspiration and how-to tips for one-to-two-night bicycle trips.